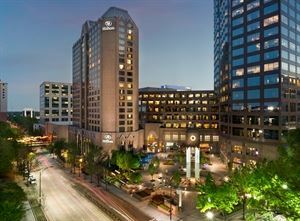 Here at the Hilton Center City Hotel we can accommodate events from 20 guests up to 800 guest. We specialize in Wedding, Bar & Bat Mitzvahs, Birthday Celebrations and everything in between. Our Piedmont Ballroom is 11,700 square feet and can be transformed into anything you can wish to imagine. If you are looking for flexible outdoor space we have that too! Our Clock Tower Plaza creates a beautiful backdrop of Uptown Charlotte for all of your guest to enjoy.